Federal diploma in gilding and framing (first graduate of the year). Collaboration in the restoration of the St. Ursanne abbey. 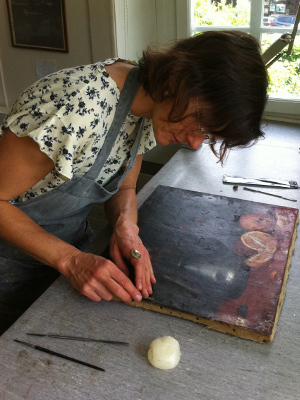 Training as a conservator and long standing experience in paintings restoration. Since 1994 member of the Atelier de Conservation Boissonnas SA. Own creative activity, painting and textile works.